What is the Great Start Collaborative? The purpose of the Jackson Great Start Collaborative is to form a countywide network with diverse representation from all sectors of the community including, education and childcare, health and human services, businesses, faith-based organizations, and families. Together we work to ensure Jackson County children are born healthy, developmentally on track, ready to succeed when entering school, and are reading proficiently by the end of third grade. The Great Start Collaborative began as "Project Great Start" under Governor Jennifer Granholm in her 2005 State of the State address. The governor described "Project Great Start" as a new movement that will challenge us to recognize that education begins at birth, not when a child enters school. 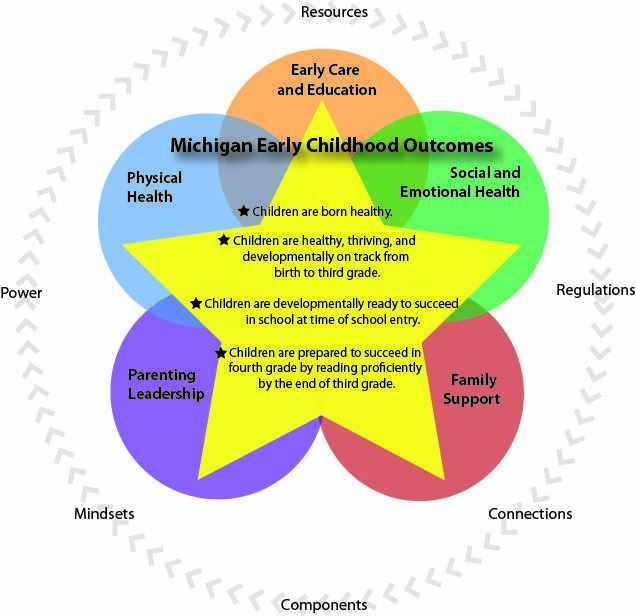 In 2006, Jackson County was one of the first counties in Michigan to launch "Project Great Start" and quickly began developing a coordinated system of community resources and supports to help all families provide a Great Start for their children. 1. Children are born healthy. 2. 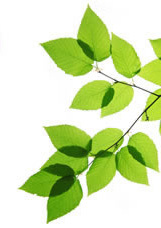 Children are healthy, thriving, and developmentally on track from birth to third grade. 3. Children are developmentally ready to succeed in school at time of school entry. Since it's launch in 2006, the Great Start Collaborative of Jackson County has grown to form a countywide network with diverse community representation. Together, we focus on the needs of children and families, realizing that the children at the greatest risk of not achieving the four early childhood outcomes (based on income, family and home environment, developmental ability, and race or ethnicity) must be served first. Establishment of a 2016-2018 Early Childhood Strategic Plan to guide the work and direction of the Great Start Collaborative. Involvement of community members from all sectors in collaborative meetings, trainings, and events through the dedication of time, staff, and resources. Strategic partnerships among early childhood programs, parents, providers, and other community agencies. Early Literacy efforts: Dolly Parton's Imagination Library program (2008-2017), Jackson County Little Free Libraries (2018), and Summer Literacy Labs (2018). Subcommittees of the Collaborative, made up of families, educators, community and social service agency members, meet on a regular basis to discuss, plan, and coordinate early childhood programs and services that will improve early childhood outcomes. Meeting minutes from both our Family Support and School Readiness subcommittees are kept up-to-date and meeting locations and times are listed on our calendar. Take a look - if you want to help make a difference in our children's lives and future outlook; consider joining in on a meeting. We would love you have you join us! The more voices we have, the stronger our impact in Jackson County will be!